According to data from Statista, there were 167.5 million connected devices within the public sector in 2018, and that number is projected to grow over the coming years. The problem is that there’s no ecosystem for these connected devices to work in unison for the betterment of a city and its citizens. Because smart city initiatives don’t always provide immediately measurable benefits, convincing officials to allocate resources from already strained budgets is considerably difficult. But the reality is that these initiatives can save governments and citizens a lot of time and money. If you’ve ever waited in line at the DMV or tried to pay a parking ticket online, you know that government processes are far from efficient. Between the miles of red tape and the outdated systems, it can take hours to complete tasks that should be completed in a matter of minutes. Smart cities can change that, and there’s data to back it up. According to a report from Juniper Research, smart city initiatives have the potential to save everyday citizens nearly 60 hours per year through intelligent traffic systems (19.4 hours), open data (31 hours), cashless payments (1.2 hours), and safer roads 7.8 hours). And time isn’t the only thing cities would save. Time is money, but you know what else is money? Money. And when it comes to embedding information and communication technology into a smart city, the financial benefits are pretty obvious. According to data from ABI Research [paywall content], the cost-savings associated with the smart city movement are substantial. For one, the research found that governments can save as much as $4.95 billion every year with simple solutions such as smart street lights and energy-efficient buildings. The savings don’t stop at the government level, either. The data found that citizen savings are actually much higher, as much as $26.69 billion per year (not, sadly, per person). These savings come thanks to smart grids and micro-meters that will keep energy costs significantly lower, or substantially cut down education costs thanks to a combination of online and in-person course options. Considering government officials have a tendency to be a bit behind the curve on tech issues, receiving a little help from industry experts is the key to making the smart city movement successful. Fortunately, one company is dedicating time and resources to do exactly that. IGNITE is a global consulting practice giving the smart city movement a bit of structure. 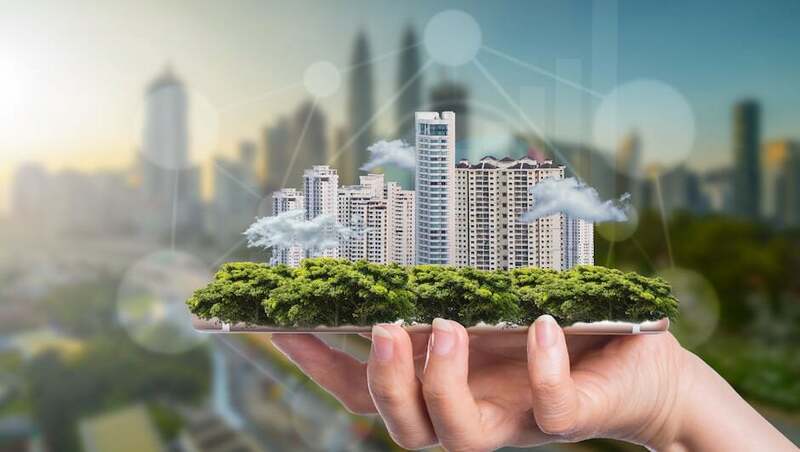 By working with multiple cities to focus their efforts on practical, easy-to-install technology, the company, led by CEO George Burciaga, is trying to jump start a more connected future. Currently, IGNITE has partnerships with the mayors of Los Angeles, Miami, Honolulu, and Columbia, South Carolina. These partnerships aim to develop an effective methodology that will allow these cities to not only embed this technology, but also scale as necessary and replicate it in other cities. This aspect of the project is notably important because, as Burciaga points out, no one has really figured it out yet. Although they’re still in the first steps of getting these cities set up for success, IGNITE has already made a lasting impression on mayors from each city. We had a chance to speak with Honolulu mayor Kirk Caldwell about what IGNITE was doing to improve the lives of citizens in his beautiful Hawaiian city. According to Caldwell, it’s less about making huge changes to new projects, and more about improving the ones currently in place. “We’re trying to get out of the way of the bureaucracy and get information directly into the hands of our citizens, so we can then improve their service and get them what they need more quickly,” said Caldwell. Small, citizen-focused initiatives aren’t the only aspect of IGNITE’s smart city plan though. Solving large problems is the true goal of getting this technology installed in government systems, and there are plenty of large problems to go around. When it comes to getting these smart cities installed though, the problem lies within the ability to sell the idea. These common sense initiatives, while clearly beneficial, don’t have the wow-factor needed to sell tech ideas to the masses. And that’s a problem that needs fixing. Smart cities, like clean energy and improved education, are unsexy necessities that fall by the wayside in favor of more attractive projects and it needs to stop. Our priorities need to shift so that our everyday systems match the entertaining technology we use on a daily basis, or we’re going to be stuck playing catch up for the foreseeable future.